Pascal Quiry leads a double professional life. Not only is he Director of the Valuations and Stock Market Listing team at BNP-Paribas, he is also a lecturer and coordinator of corporate finance classes at the HEC business school in Paris. 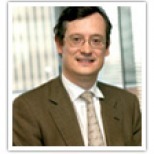 He is the co-author and chief editor of the book “Finance d’entreprise” with P. Vernimmen as well as founder and leader of the site http://www.vernimmen.net, the leading French educational finance website.